This land will fall to his command—the overlord is back! While Ains Ooal Gown’s conquest over Yggdrasil is bearing fruit, a deadly power struggle between empires could lead to Ains’ downfall. But that’s the least of his worries. Despite praise from his subjects, Momonga is finding it harder to keep up his terrifying act. 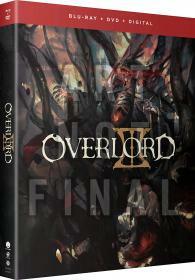 Can the mighty overlord maintain his reign, or will this be his final stand?